You can watch Mad Men Season 7 Episode 9 online via TV Fanatic. We have many options available for you to do so so watch Mad Men online now. When you watch Mad Men Season 7 Episode 9 online via TV Fanatic, you will see Don's second marriage come to an end. Don will make an attempt to carry on with his life, but it is not as easy as that. Megan and her family are a force to be reckoned with. Stan, meanwhile, wonders whatever happened to the artistic side of him and when given the chance, he jumps in. But is he being played? Find out alla bout it when you watch Mad Men online via TV Fanatic. 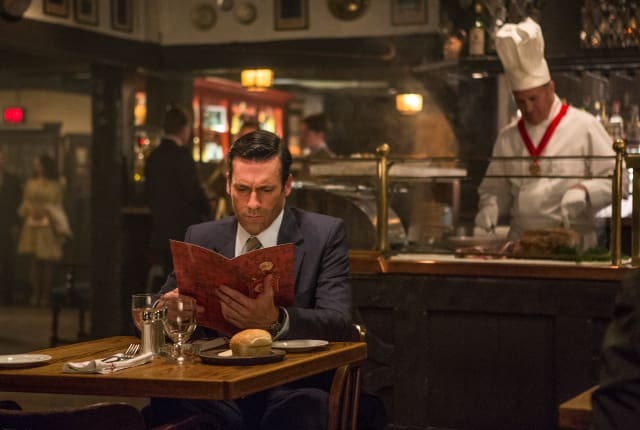 On Mad Men Season 7 Episode 9, Don gets some unwanted advice from Roger while Harry asks for Don's blessing and Stan and Peggy argue over an account.